Interstellar is the newest movie to come out this year from the Dark Knight Trilogy director Christopher Nolan. This movie tells the story of space explorers as they travel the vastness of the universe though the newly discovered wormhole. 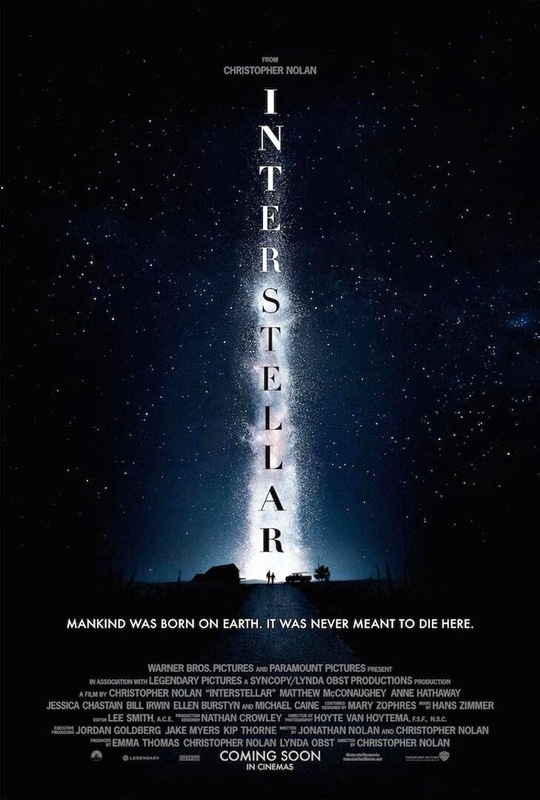 Below is the latest movie poster for Interstellar released today by Paramount Pictures and earlier today Interstellar Twitter account posted "It's official: The new trailer is attached to GODZILLA and it runs 2 minutes and 54 seconds.". I am excited about this sci-fi movie not just because it's Nolan who is behind the camera but also it is because about Space, space travel and about using the wormhole which is the only key (for now) or mankind to explore the universe. I expect to see other planets, solar system and stars with their respective species and environment in this film. And yes, it is an almost 3-minute trailer. There was a teaser trailer that was released late last year for this movie (see below) and it actually did not reveal almost anything about Interstellar but good enough to want us to see more. So I hope to see more of the movie in this promised full trailer to be released next week which according to the US movie blogs will be attached to Godzilla movie.